MINOX, Germany’s leading manufacturer of trail cameras now presents the new DTC 450 SLIM for absolutely discreet observation. With its unique slim design that measures just 2.7 cm in depth and its slightly curved housing contour in camouflage look, this camera allows an even more discreet observation. The DTC 450 is inconspicuous, intelligent and powerful. It is an extremely useful and reliable tool for use in places where surveillance was previously too difficult. 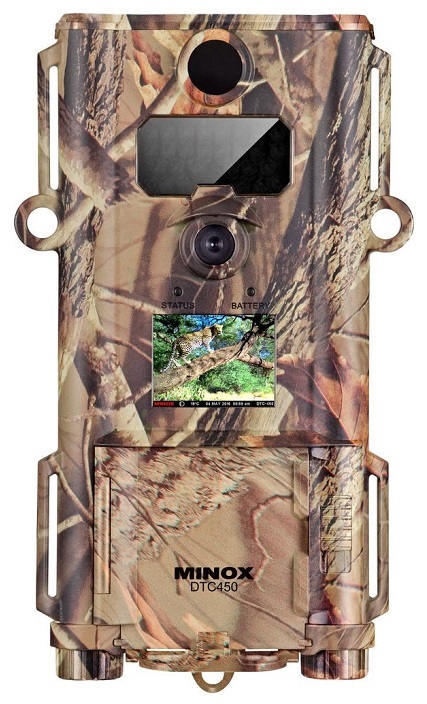 The integrated 2-inch front display permits convenient and easy setup and alignment of the camera. All data are stored on an SD card and can be read directly or transferred via USB port. The camera’s reliable technology is protected by a sturdy and weatherproof polycarbonate housing that keeps out water, dust, cold and heat. The DTC 450 SLIM can be protected against theft using a padlock.